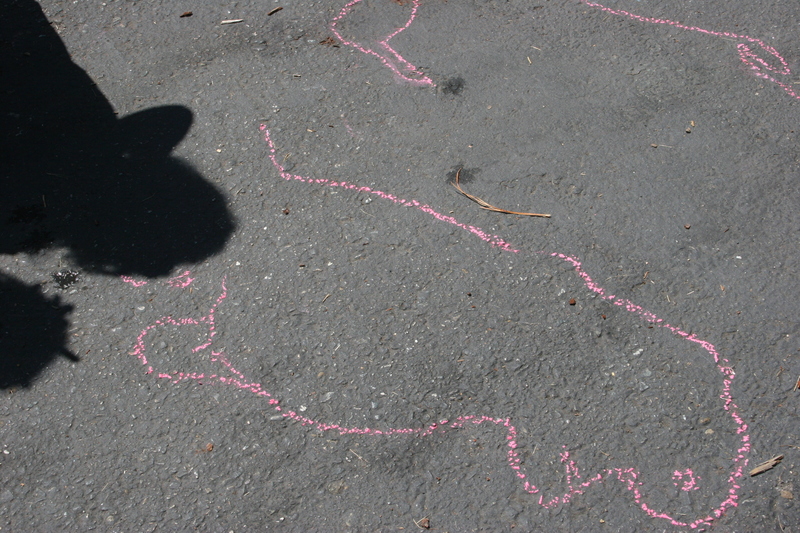 Shadow Play: Investigating shadow and light in preschool. Shadows provide extraordinary educational opportunities. Not only do they raise a spontaneous curiosity in the child, stimulating his imagination and exercising his emerging intellectual abilities but they are also omnipresent (even more than sand, stones, water or “pencil and paper”, because you only need a bit of sunlight or even a candle to produce them). 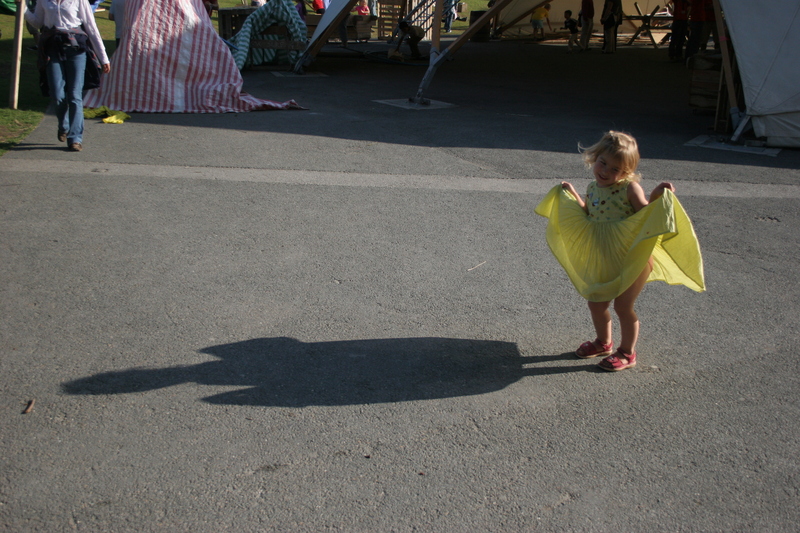 Perhaps more effectively than other things, shadows can nourish the child’s need to do and to experiment given the ease with which the variables involved in their formation and transformation can be manipulated. With this in mind I thought it would be a nice idea to make shadow shapes and draw around them with pavement chalk. Some shapes worked better than others, my youngest daughter’s shadow looked a little like an embryo! The girls drew around them. They were particularly interested by the fact that they couldn’t see the whole of their legs. It was a very hot day so only my 4- year- old wanted to colour in the detail. They were very proud of them and pointed them out to their dad every time he walked over the driveway. My 4- year -old has very poor eyesight and needs practice copying and tracing shapes to enhance her perceptual motor skills . I hate the idea of sitting her down with worksheets so I thought shadow tracing might be a nice alternative. We took a number of objects outside to draw around. We even attempted to draw around her bike, which was a little tricky. Later in the week we were playing with blocks in the house. Where is the shadow coming from? What makes it appear? Okay, so let’s turn the fan off and see if they disappear. Has it gone? I know maybe it’s the light, let’s turn it off. It’s gone!……………oh hang on it’s still there, it’s just fainter. Shall we see if we have a shadow outside today? We don’t have a shadow……. Oh wait, when you sit down there is a bit of a shadow. When we sit down there is a bit of a shadow. I don’t know. Let’s see if there are any shadows on the grass. No, not even the dog. Do the trees have shadows? Maybe the sun has taken away our shadows. No, that’s not right because the sun makes the shadows. Maybe when the sun is not there it takes them away? I know, let’s draw a sun and see if they come back. I know we can stand in the sun and make it bright colours to see if it comes out. In the meantime my 9-year-old came to join us. I told them the girls had a bit of a problem that they were trying to solve and wondered if she could work it out. Why is it that when it is cloudy there are no shadows but when things are close to the ground there is a small shadow? But there is no sun and you need light to make a shadow. Yes, but if it was dark I couldn’t make a shadow because it couldn’t get darker. If we were in the sun and it was too bright what would we do? So what is happening to make the shade? I drew a picture of the sun in the sky with a stick person stood underneath and a tree with a stick person underneath the tree. Oh, the tree gets in the way of the sun. At that moment as the girls were standing in their picture of the sun, the sun came out. They stood in the sun and hey presto the sun came out. Look, it worked the sun came out! Continue to talk about and ask questions about shadows when we are out and about. and wherever else it might take us.